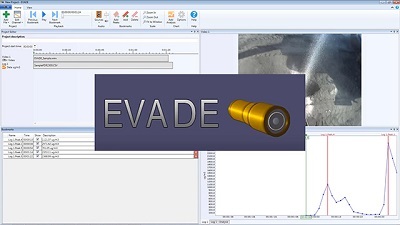 A video tutorial describing the use of NIOSH developed software called EVADE. EVADE matches up recorded video and logged data to identify potential health exposure risks. The video comes from a worker-mounted camera and the logged data comes from a personal assessment monitor used to measure either dust, noise, diesel, or chemical exposure. This tutorial shows where to access and download this free software, and then how to create, save, and perform a basic exposure assessment using the software. Pittsburgh, PA: U.S. Department of Health and Human Services, Public Health Service, Centers for Disease Control and Prevention, National Institute for Occupational Safety and Health, DHHS (NIOSH) Publication No. 2018-108d, 2018 Jan; :11:49.